Citroën motorsport has been a huge success story throughout the years, as illustrated last weekend by the brand’s 100th victory in the World Rally Championship at Rallye Monte-Carlo. 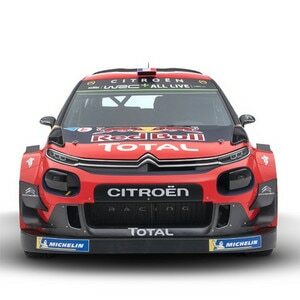 Citroën Racing will play a central role in the celebrations for Citroën’s centenary this year, with motorsport fans set to enjoy full coverage of the anniversary at rally events and across social media. Spectators and TV viewers were treated to their first look at the new livery of Citroën C3 WRC at the Monte-Carlo Rally in the first leg of the 2019 World Rally Championship (WRC). For Citroën's centenary year, the C3 WRC has been adorned with the double chevrons of the brand’s original logo on its sides and roof. At the rear, the figure ‘1919’, a reminder of Citroën’s founding year, confirms the brand’s long-standing commitment to motorsport competition and technological performance. In its centenary livery, C3 WRC is also starring in season two of ‘Little Big Racing’, this year called ‘Little Big Racing – 100 Years of Fans’. Airing across the brand’s social media channels, the series of short videos immerses web users into the atmosphere and landscape of the most prestigious features of each leg in the 2019 WRC with the aid of a miniature C3 WRC. 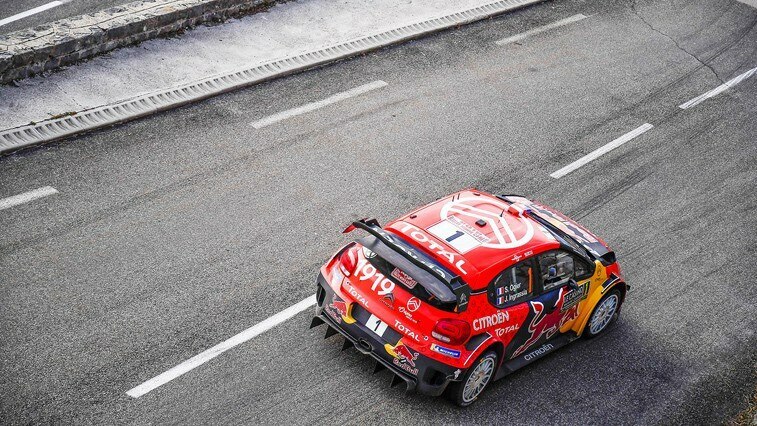 In a nod to the brand’s 100th birthday, each episode unveils an iconic Citroën that in the final shot of the video also sports C3 WRC’s special livery. After a high-intensity battle at the Monte-Carlo Rally, Sébastien Ogier and Julien Ingrassia earned Citroën Racing its 100th WRC victory, a particularly fitting result at the start of Citroën’s centenary year. The 2019 Rétromobile show will also undoubtedly be a major highlight among Citroën’s anniversary celebrations. On an exceptional stand displaying 30 legendary models from the brand’s 100 years, motorsport will be in the limelight with ten racing vehicles symbolising a century of sporting achievements: Scarabée d’Or, Petite Rosalie, DS 21 from the 1969 Morocco Rally, SM from the 1971 Morocco Rally, 2CV Raid Afrique, ZX Rallye Raid, Xsara Kit Car, C4 WRC, C-Elysée WTCC and C3 WRC. At each leg in the 2019 WRC season, media and guests will be able to look back at photographs of many of these models in action at the Citroën Racing hospitality area. The photo collection is comprised of 35 large visuals celebrating the history of sport and the automotive performance of Citroën. The collection includes images such as the Sahara crossing in a single-track vehicle in 1922/1923, the ZX Paris-Beijing rally raid in 1992 and the Mexico Rally in 2018.